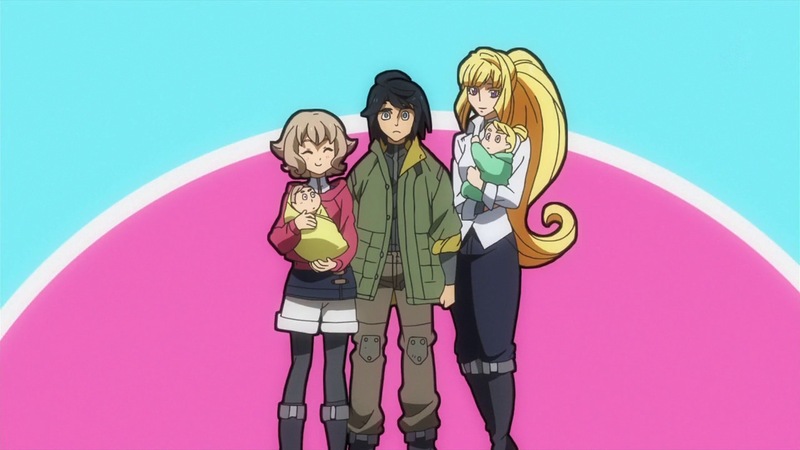 There are many pseudo-harems in anime (pretty much every so-called “harem” anime is a pseudo-harem, fwiw), but Gundam: Iron-blooded Orphans contains an actual, bonafide harem. And it is glorious. However, the reason I approve of the harem is not just because I’m a pervlord who likes harems. 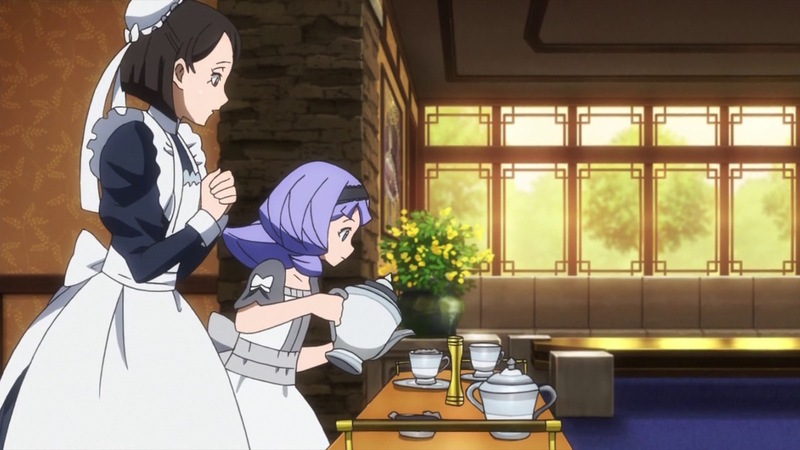 The harem in Gundam: Orphans says something interesting about family structures – and how they change in times of conflict. The world of Gundam: Orphans contains a distinct lack of conventional families (at least by modern Western sensibilities). The Tekkadan and Naze’s harem are the most obvious examples of this, but we also have Fareed and his loli fiancee as well as Kudelia’s uncaring parents. Ironically, Kudelia’s situation most resembles the typical nuclear family but is strongly implied to be the least happy family out of all the examples I have given. I’m not here to preach the virtues of any particular kind of family structure, but I will note that polygamy has been the norm in many cultures throughout history. Quite a few societies still practice it openly today, such as Iran and South Africa. Polygamy makes sense when you take into account the unstable population rates of many agricultural societies and war-torn countries. It hasn’t been explained yet why Naze has a harem, but it seems very likely that he grew up in a war-torn area itself. He alluded to “not being able to protect others” when he was younger, and I suspect that the other members of his harem must have had similar experiences that enabled them to band together. The fact that people have different cultural assumptions helps make the world of Gundam: Orphans feel like a society where people actually live in. Admittedly, this is not a society I would want to live in myself for a multitude of reasons. Still, it’s probably for the best that the show doesn’t moralise about Naze’s harem, because it’s all too easy to project one’s personal views of the practice onto a story. Likewise, there’s not much moralising about how Fareed is engaged to a nine-year-old girl. It’s simply a political necessity. The different families in Gundam: Orphans form the backdrop of the Tekkadan’s “family” story, which is depicted in a more overtly emotional manner but is no less logical in its reason for existing. It’s not that uncommon to encounter stories about people who are not blood-related calling themselves family, but it makes particular sense in this universe, where dead parents are the norm. I think that this careful worldbuilding is what makes Gundam: Orphans so affecting. The Tekkadan is not the only group of people struggling to survive throughout all the conflict in this show. Knowing how fragile and impermanent families are in this world, it was clear to me why the members of the Tekkadan share such a deep bond. I breathed a genuine sigh of relief at the end of episode 11 after spending the whole episode worrying that the Tekkadan would be torn apart, and I’m still anxious about what may happen to them next. 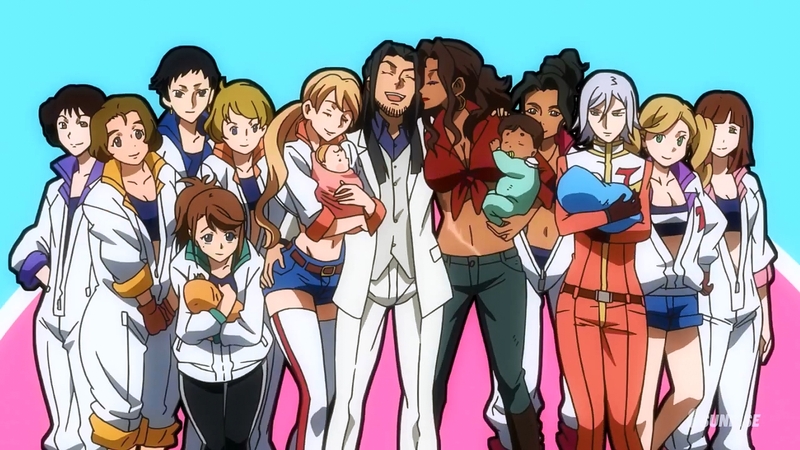 In conclusion, I approve of Naze’s harem because it’s an excellent foil for the Tekkadan family. Just don’t try to copy it, Atra. Posted on December 21, 2015, in Pairings and Shipping and tagged 12 days of anime, 12 days of shipping, gundam iron-blooded orphans, i want a harem, naze x harem. Bookmark the permalink. 9 Comments. Nicely argued. When a friend on a forum asked me what I thought about the harem, I also pointed out that it’s not unheard of in our world, especially in harsher, less ‘secure’ societies, but I certainly didn’t think about it as deeply as you did. Polyandry is interesting. While rarer than polygyny, it’s certainly not unheard of. It appears to happen more frequently with hunter-gatherer societies, where resources tend to be shared around the community. On the other hand, societies that enforce monogamy on women also tend to have rules about private ownership of property, so verifying the paternity of the children is important. … I just noticed that Mikazuki has a befuddled/disbelieving expression in that imagine spot. Heh. Another good question: how did the women get back into shape so fast after their pregnancies? Well, it’s been shown they have medical nanomachines… and Mikazuki(‘s Gundam) just got a katana… the antagonists are trying to make Gjallarhorn great again… Mobile Suit Gundam: Revengeance confirmed! I can just see this on the cover of all the women’s magazines: The secret to a post-pregnancy body – NANOMACHINES. Saves having to do all the workouts! My best friend was back to within her pre-pregnancy weight range within 2 months of giving birth. I feel like it may have been even sooner than that, but I don’t feel like digging through more photos. And yes, I would imagine that breastfeeding would be the norm for a space-faring family. I should have added before posting: aside from some yoga and carrying around a growing baby every day for months, she has/did/does not workout at all. Hey, that’s pretty interesting. Thanks for that!